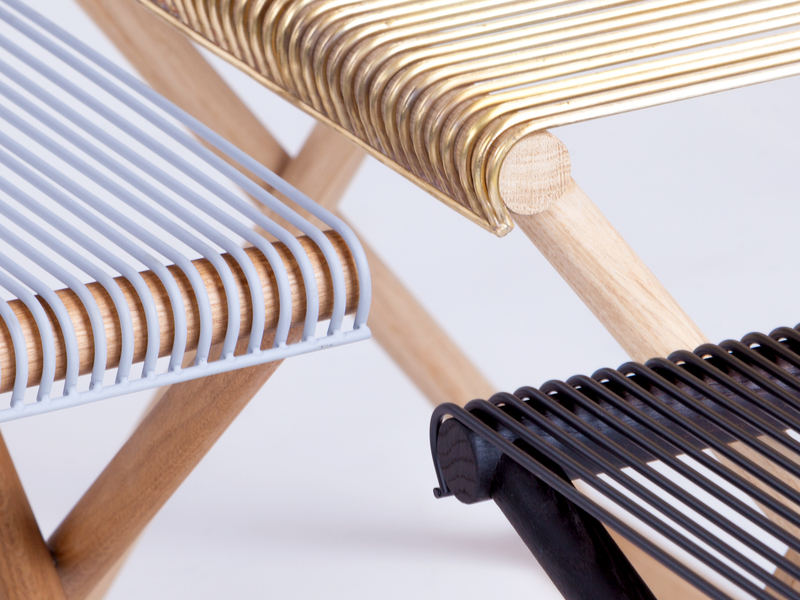 Based on a simple symbiosis between trestle and top, the Trestle collection is constructed from two wooden frames locked in place via pivoting pin. 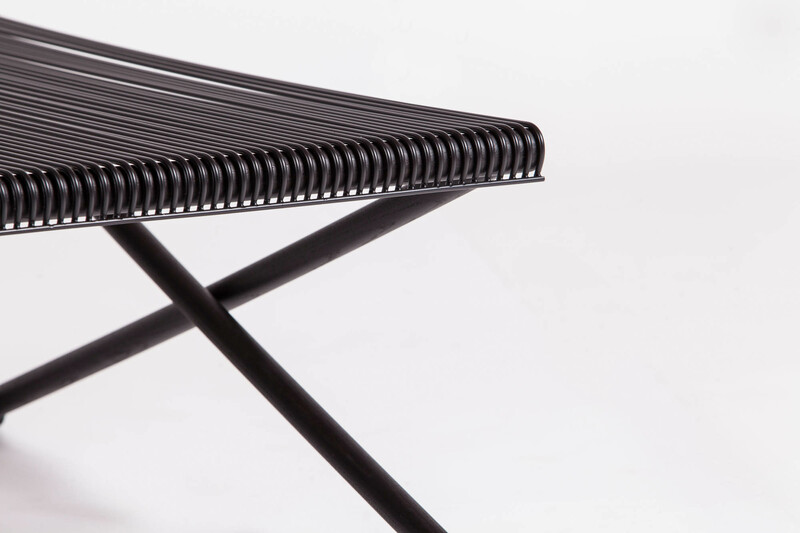 A rigid top featuring a bend on edges, cradles the frame, holding it in place under tension. 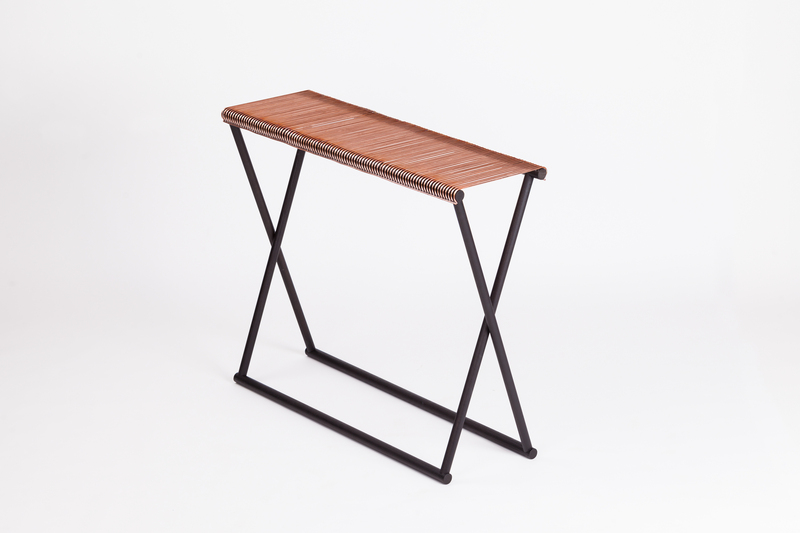 The collection includes two sizes of (wooden) structures and three sizes of (metal) tops, to create three typologies of table: Side board (console), coffee table and a side table. 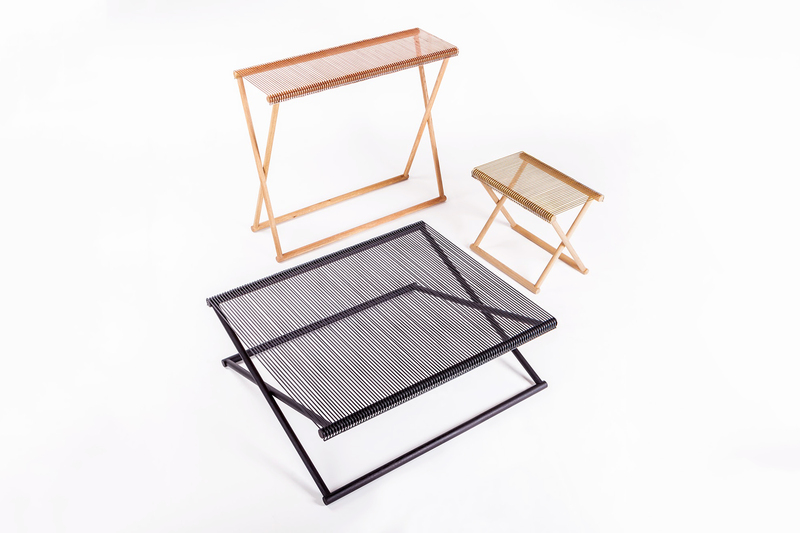 This system of proportions between the collection of tables allow for various frame and top combinations in terms of materials, colours, rodded grid, plates, and finish.